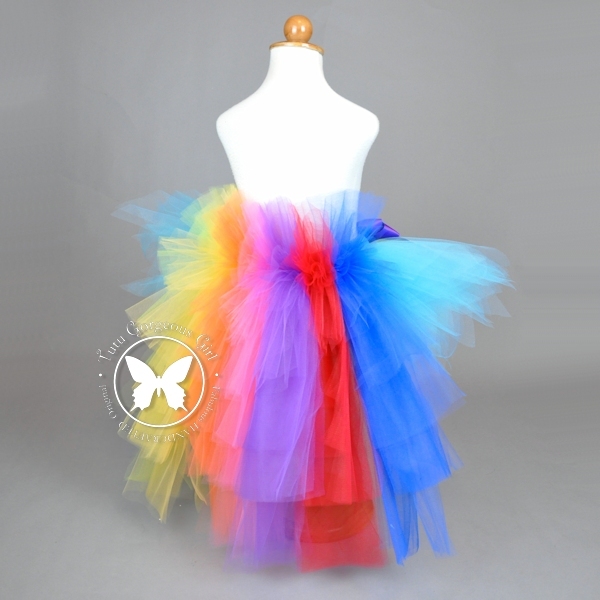 Girl's rainbow pony birthday bustle tutu, rainbow unicorn tutu. 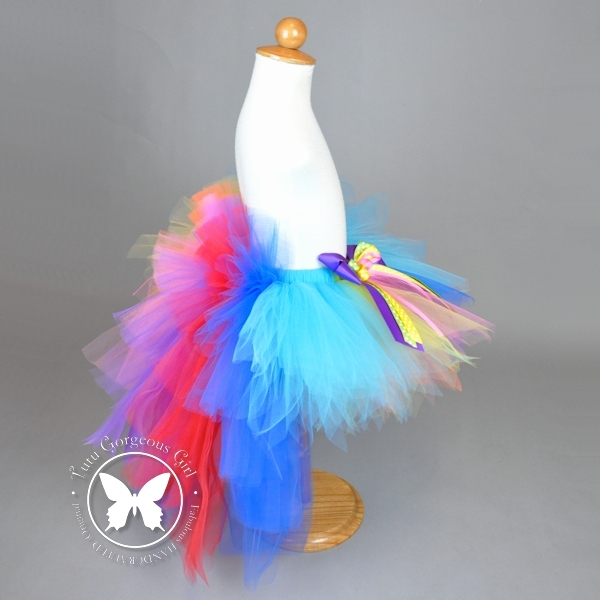 This rainbow bustle tutu is a fun choice for your little girl's rainbow pony birthday costume. 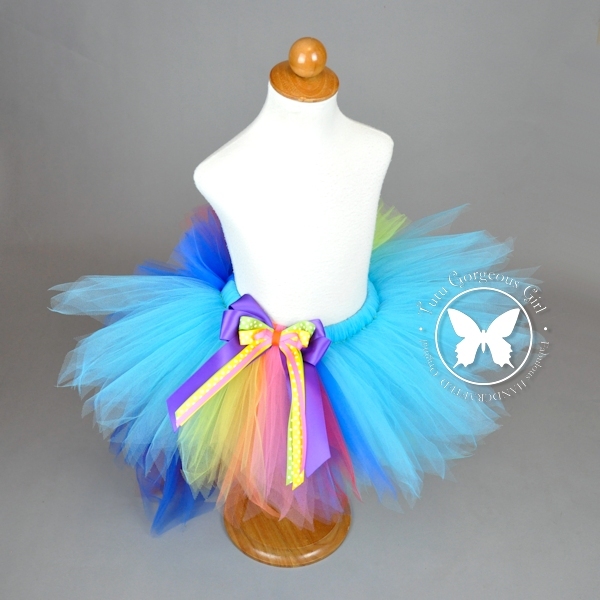 The tutu features a turquoise front tutu skirt with rainbow stripes and a layered bow clip. The bustle is made with the same rainbow colors to represent the rainbow pony's tail.